Google is planning to build its own Ad blocker for their popular web browser Chrome. Google confirmed that this feature will be available in Chrome as a built-in feature from next year onwards. The news seems controversial since a leader in the advertising industry making their own tool to block adverts. The reality is that Google has many reasons to create its own ad blocker. The Coalition for Better Ads (CBA), an industry group dedicated to improving online ads has released a new standard for mobile and desktop ads. According to the standards specified by CBA, the problematic ads for mobile includes autoplay video ads, flashing animated ads, pop-up ads, etc. Problematic ads for desktop users includes autoplay video ads, pop-up ads, large sticky ads, etc. Surprisingly, Google is a part of this group and none of the ads provided by Google falls under the problematic ads. The use of ad blockers is increasing rapidly, which is a concern for big advertisement companies like Google. Also, there is a rise in the competition of web browsers. Most of the popular browsers including UC browser and Opera already have this as a built-in feature. There are many more reasons that motivated Google to create its own ad blocker for Chrome. 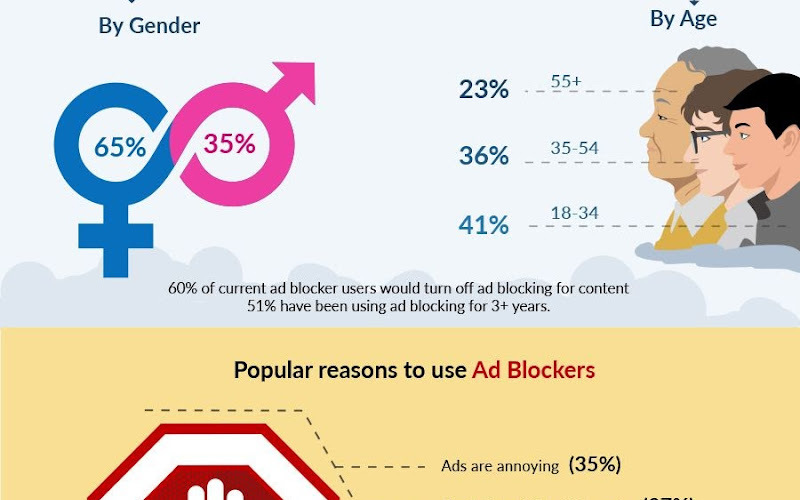 The folks at TechWyse have created a detailed infographic with all the stats gathered from the ad blocker industry. Take a look and share your comments.